WPUC has music programs for all ages! 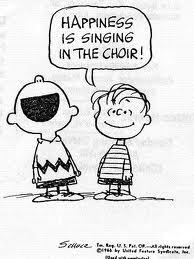 THE WORSHIP CHOIR – Do you enjoy singing and want to have fun with a great group of people who share your love of music? Our adult choir, under the direction of Laura Steidl, practices on Thursday evenings and leads the music in worship each Sunday. The first practice is on Thursday, September 12th from 7:45-9:15 p.m. We currently have openings in all four voicings (soprano, alto, tenor, bass). No experience is necessary – if you like to sing, we have a place for you! The Joyful Noise – Our children’s choir is for boys and girls in Kindergarten and older. Practice times are on Sunday mornings at 9:45 a.m. in the choir room with Chanel and Sheryl starting on Sunday, September 29. The Praise Team – Made up of the Praise Singers and Praise Band, this group is open to teen singers (Grade 7 and up) and musicians of all ages, and leads our contemporary worship services, which occur every 6 weeks. Practices are on Sundays from 12-1 p.m. starting September 15th. If you would like to play an instrument, sing or work with sound and projection equipment, speak to Laura about ways to be involved in this group. For more information about any of our music programs please contact Laura Steidl at lasteidl@shaw.ca or find me at the front of the church on a Sunday morning! Posted in General News, Music Programs, Worship on September 1, 2013.